Ramanujan said he saw math through the eyes of a Hindu goddess. December 22 is the 125th anniversary of the birth of Srinivasa Ramanujan, an Indian mathematician renowned for somehow intuiting extraordinary numerical patterns and connections without the use of proofs or modern mathematical tools. 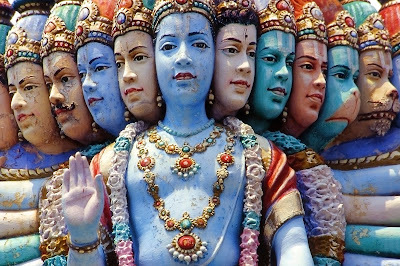 A devout Hindu, Ramanujan said that his findings were divine, revealed to him in dreams by the goddess Namagiri. Ono, a number theorist whose work has previously uncovered hidden meanings in the notebooks of Ramanujan, set to work on the 125th-anniversary project with two colleagues and former students: Amanda Folsom, from Yale, and Rob Rhoades, from Stanford. 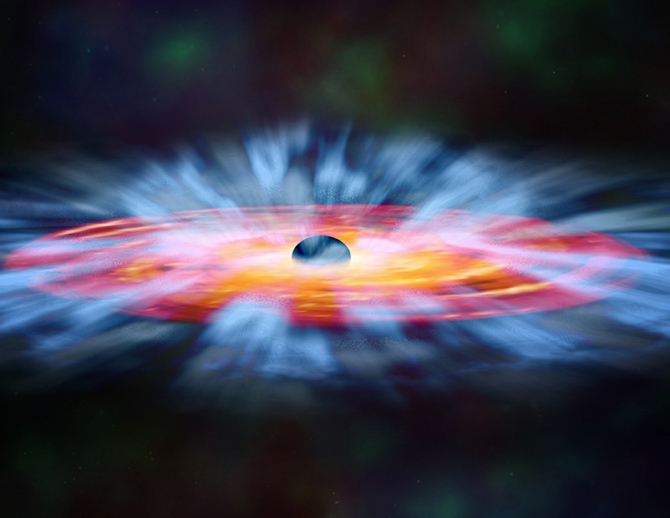 The result is a formula for mock modular forms that may prove useful to physicists who study black holes. The work, which Ono recently presented at the Ramanujan 125 conference at the University of Florida, also solves one of the greatest puzzles left behind by the enigmatic Indian genius. While on his death-bed in 1920, Ramanujan wrote a letter to his mentor, English mathematician G. H. Hardy. The letter described several new functions that behaved differently from known theta functions, or modular forms, and yet closely mimicked them. Ramanujan conjectured that his mock modular forms corresponded to the ordinary modular forms earlier identified by Carl Jacobi, and that both would wind up with similar outputs for roots of 1. No one at the time understood what Ramanujan was talking about. “It wasn’t until 2002, through the work of Sander Zwegers, that we had a description of the functions that Ramanujan was writing about in 1920,” Ono says. Building on that description, Ono and his colleagues went a step further. They drew on modern mathematical tools that had not been developed before Ramanujan’s death to prove that a mock modular form could be computed just as Ramanujan predicted. They found that while the outputs of a mock modular form shoot off into enormous numbers, the corresponding ordinary modular form expands at close to the same rate. So when you add up the two outputs or, in some cases, subtract them from one another, the result is a relatively small number, such as four, in the simplest case. “No one was talking about black holes back in the 1920s when Ramanujan first came up with mock modular forms, and yet, his work may unlock secrets about them,” Ono says. Ono uses a “magic coin” analogy to illustrate the complexity of Ramanujan’s vision. Imagine that Jacobi, who discovered the original modular forms, and Ramanujan are contemporaries and go shopping together. They each spend a coin in the same shop. Each of their coins goes on a different journey, traveling through different hands, shops and cities. Ramanujan experienced such extraordinary insights in an innocent way, simply appreciating the beauty of the math, without seeking practical applications for them. Expansion of modular forms is one of the fundamental tools for computing the entropy of a modular black hole. Some black holes, however, are not modular, but the new formula based on Ramanujan’s vision may allow physicists to compute their entropy as though they were. After coming up with the formula for computing a mock modular form, Ono wanted to put some icing on the cake for the 125th-anniversary celebration. He and Emory graduate students Michael Griffin and Larry Rolen revisited the paragraph in Ramanujan’s last letter that gave a vague description for how he arrived at the functions. That one paragraph has inspired hundreds of papers by mathematicians, who have pondered its hidden meaning for eight decades. 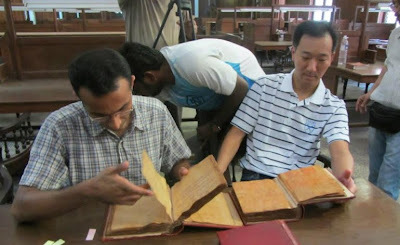 A highlight of working on a film about Ramanujan's life was getting to browse through some of the Indian master's original notebooks, says Ono, above right. 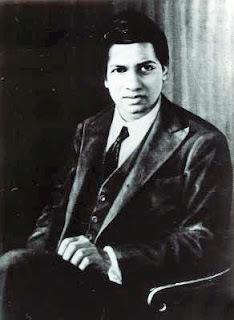 Although Ramanujan received little formal training in math, and died at the age of 32, he made major contributions to number theory and many other areas of math. In the fall, Ono traveled to Ramanujan’s home in Madras, and to other significant sites in the Indian mathematician’s life, to participate in a docu-drama. Ono acted as a math consultant, and also has a speaking part in the film about Ramanujan, directed by Nandan Kudhyadi and set to premiere next year. Ono will spend much of December in India, taking overnight trains to Mysore, Bangalore, Chennai and New Dehli, as part of a group of distinguished mathematicians giving talks about Ramanujan in the lead-up to the anniversary date. Image credits: Hindu temple by iStockphoto.com; Ramanujan photo via Oberwolfach Photo Collection/Konrad Jacobs; black hole simulation by NASA, M. Weiss (Chandra X-Ray Center); bottom photo courtesy of Ken Ono. Small correction. Ramanujan's birth home is not in modern day Madras. It was in Erode. Thanks for catching that and letting us know. So, is this similar to six degrees of separation?